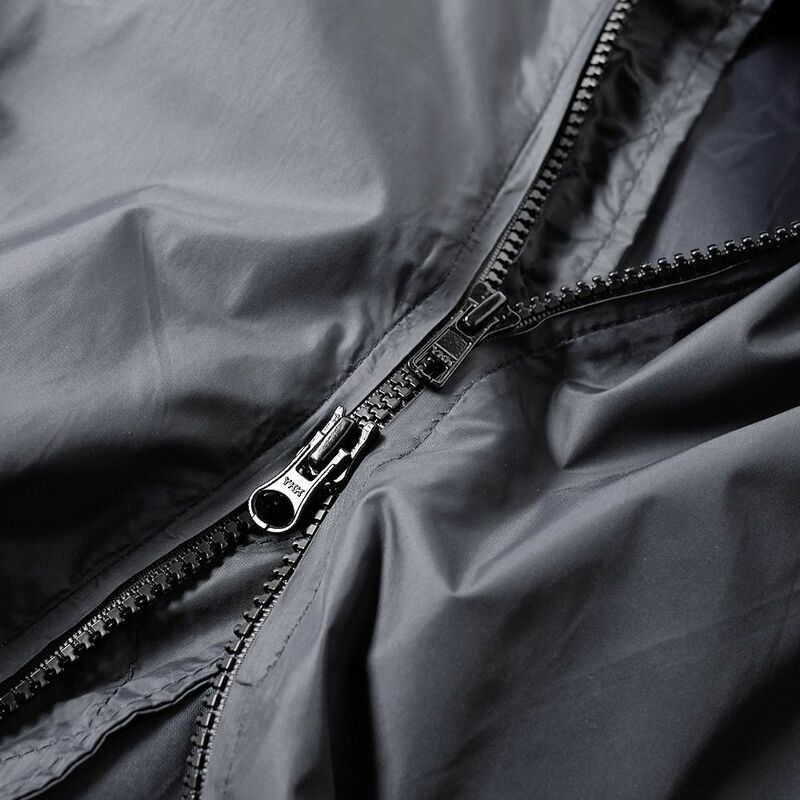 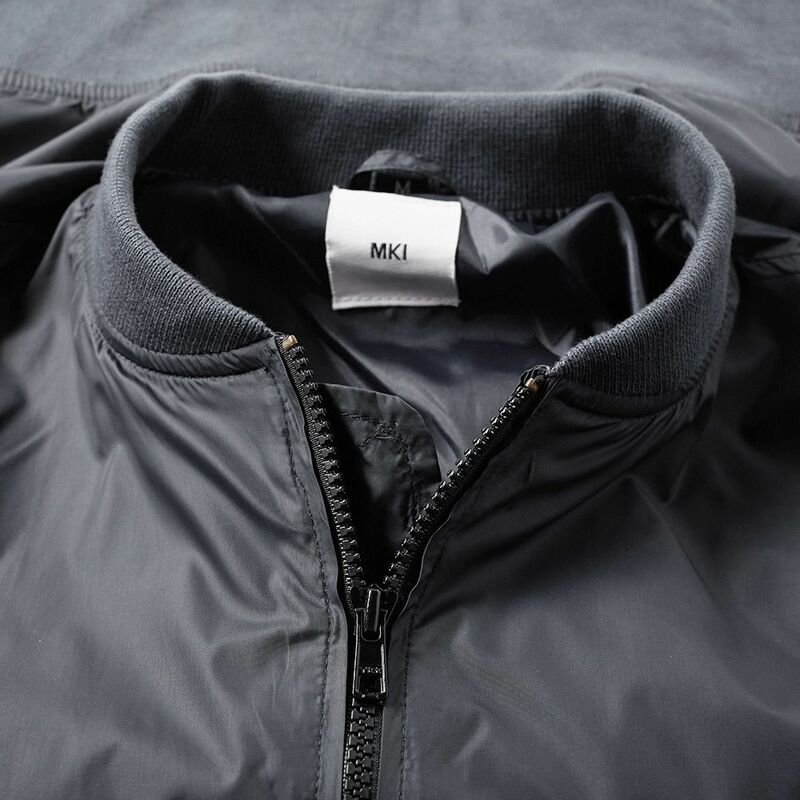 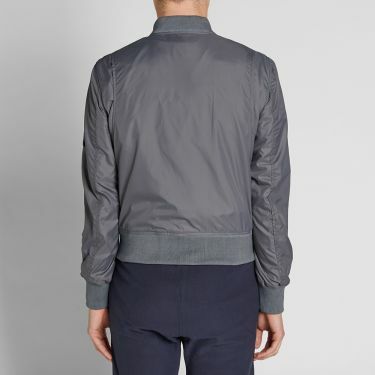 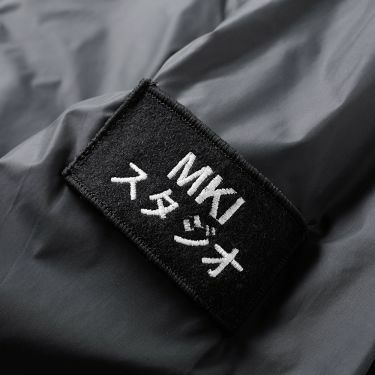 The MKI collections are created to be both accessible in wear-ability and affordability; gaining mass reputation as a brand for adopting elements from the Japanese youth tribe who loitered in the upscale Ginza shopping neighbourhood. 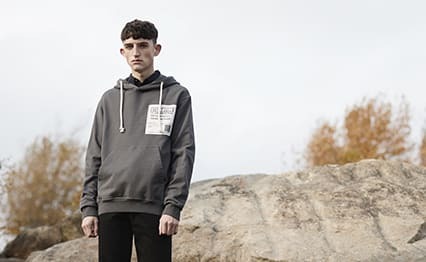 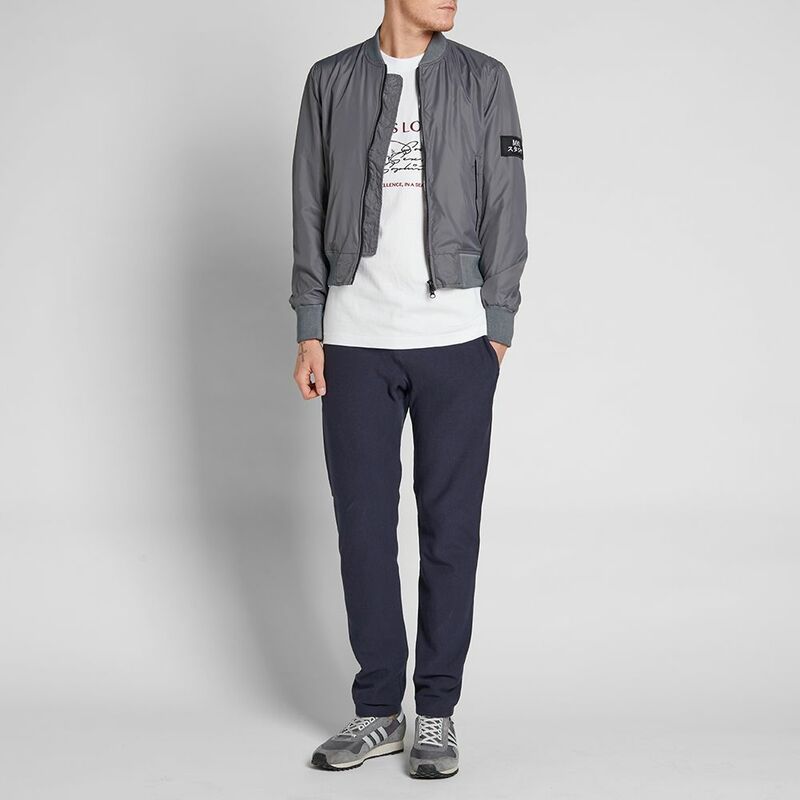 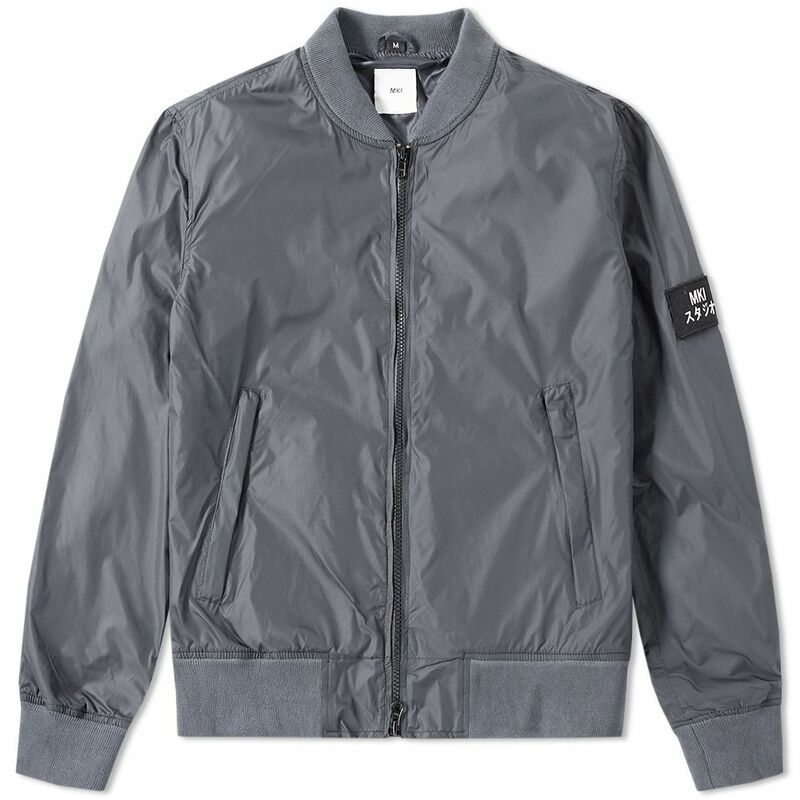 Influenced by the American collegiate style, this Badge Bomber has been given a contemporary update with the streetwear style of the Leeds-based store. 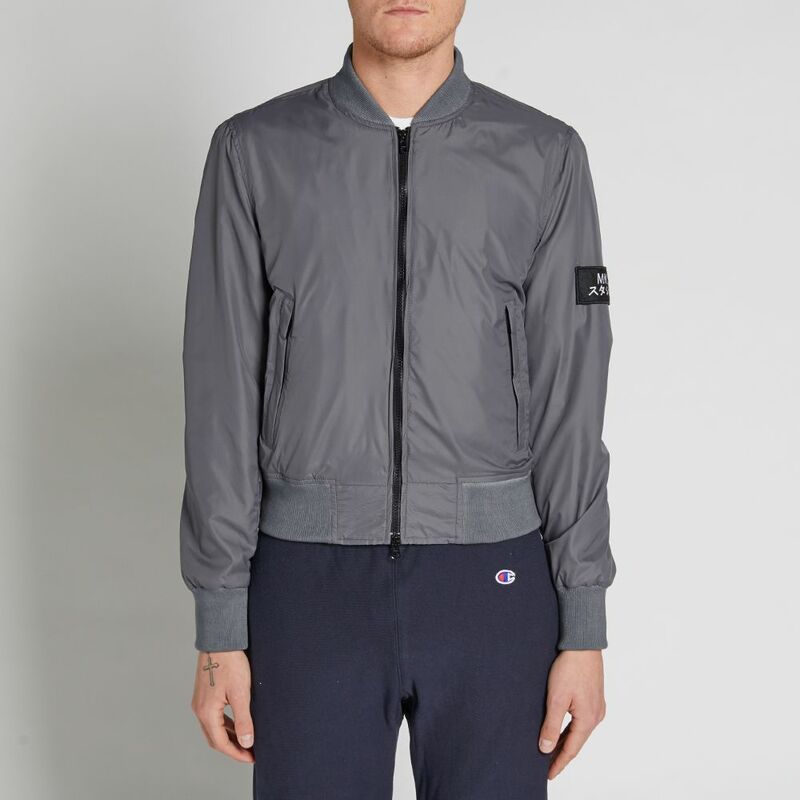 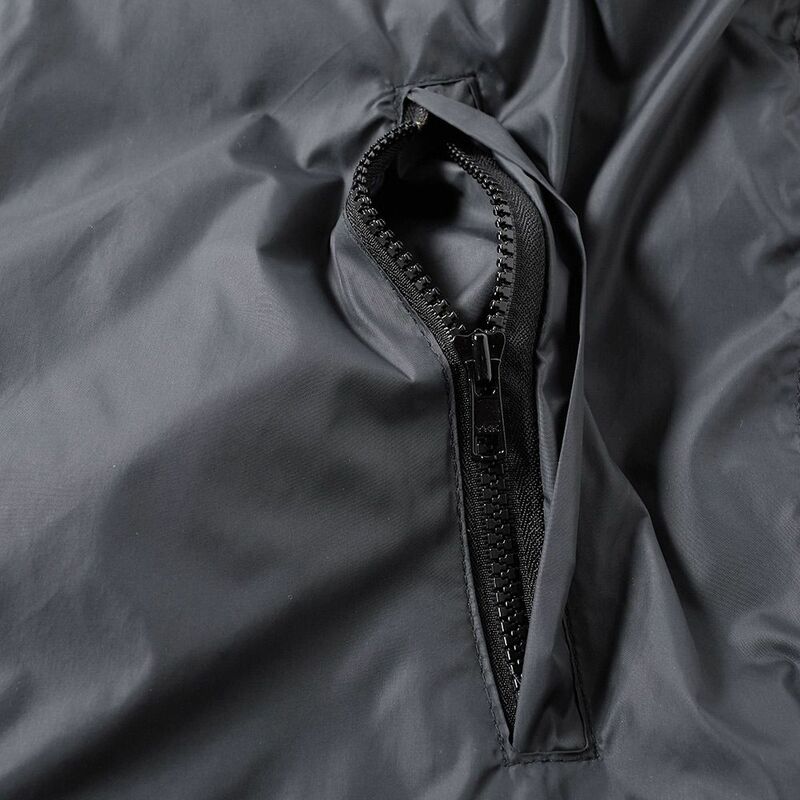 Cut from a lightweight nylon an ribbed trims, it takes its design cues from the original with a two-way zip closure, zipped pockets to either side and an MKI felt patch to the sleeve.